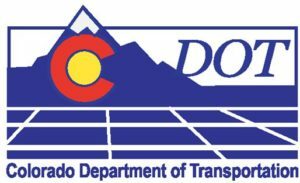 Public entities like the Federal Government, State of Colorado, the Regional Transportation District (RTD), Colorado Department of Transportation (CDOT), City and County of Denver and others receive funding for their construction projects via taxes or other fees. Because these fees are paid by most residents/business owners in the state there are programs that assist minority / woman-owned or small businesses by leveling the playing field when pursuing public projects. To ensure that assistance programs are not abused, i.e. large companies posing as a small/minority /woman-owned company, public entities utilize certification. Certification is a rigorous examination of a company to verify that the ownership, management and size claims are true. It can take many months to receive certification because visits are made to the company requesting certification to verify that they have the experience, equipment, personnel, etc. to perform the work they state they can perform. Why Are Assistance Programs Needed When Bidding Public Projects? Public projects generally require bonding and insurance. Due to economies of scale, a small company will pay more for bonding and insurance thus impacting their bid. Countless studies have demonstrated that banking costs are higher for small and minority/ woman-owned businesses. Due to the payment cycle on public projects, companies pursuing public work generally need lines of credit from a bank to cover their payroll and materials. The interest rates they pay for this credit are substantially higher than large prime contractors pay. This again impacts the bid. Because a small business cannot buy materials in the same quantity as a large prime contractor or prime consultant, their costs for materials are generally higher. Once again it impacts the bid. When a company is certified as a small, minority or woman-owned company, they cannot be eliminated from consideration based on price alone. How Does Certification Benefit Your Company? Once you are certified by a public entity, your company is listed in their directory of certified companies. When the public entity puts a project out to bid, they generally set a goal for utilization of small/ minority or woman-owned companies. If a prime contractor/consultant is pursuing that project, they will search the public entity’s database of certified companies to see where there is a good fit between certified companies and various components of the project. If you are not certified, the prime contractor/consultant cannot count your company’s participation on the project toward the goal they must achieve. Thus, without certification, you limit your opportunities. Which Pubic Entities in Colorado Certify? 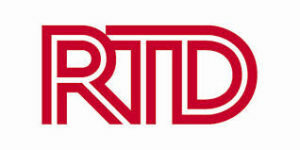 Note: This is not the same as RTD’s SBE, so you must apply to both if you want to do business with both. 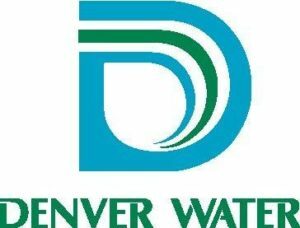 Denver Water’s Small Business Enterprise Program and Minority and Women Business Enterprise Program seek to provide small businesses and businesses owned by minorities and women an opportunity to work for Denver Water as contractors, subcontractors and suppliers. How Do I Know Which Certification To Choose? Your business plan should help you determine which certifications are best for you. RTD’s SBE and Denver’s M/WBE and SBE certifications are used on projects that are paid for with local money. The DBE certification is used when Federal money is used on a project. The 8(a) certification allows you to pursue federal projects throughout the U.S.